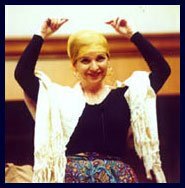 Continuing our ongoing commitment to bringing international poets & writers to Christchurch, Catalyst is proud to present the only Christchurch performance of a dramatic one woman theatrical show by internationally renowned Mexican-American writer Dr. Carmen Tafolla. a dramatic medley of voices from Mexamerica, both poignant and funny, voices ranging from the young child on her first day of school to a black woman janitor to an elderly Mexican-American veteran of World War II. Tafolla will make you laugh and cry and celebrate and dream of a world where we all wear our names and identities proudly. This one-woman show has been presented throughout Europe and the US, Canada and Mexico. That's right, BYO poetry, prose, lyrics, rants, etc. click the Wunderbar link in the sidebar for location details. 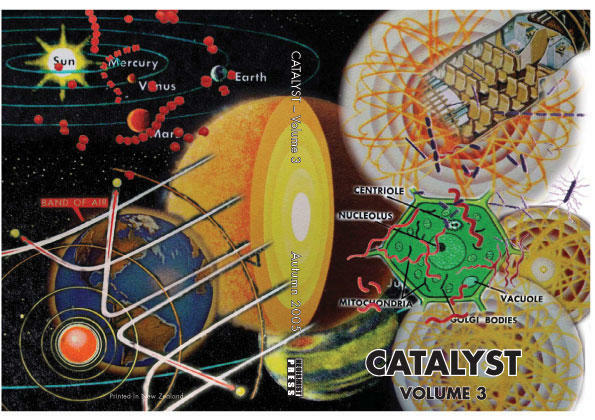 All the ways back from October 2003, the cover of Catalyst Volume 1. Cathedral Square in Christchurch, Aotearoa. Complete with Eiffel Tower. 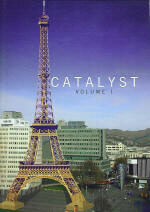 Part Two of a two part report from Aotearoa-based African American poet and world traveller L.E. Scott on his impressions and experiences of Cuba and his participation in Romerias de Mayo Festival in Holguin, Cuba 2005. Above: Children rapping on The Promenade in Havana. The president of UNEAC’s Holguin branch is the well-known painter Jorge Hidalgo and the two vice-presidents are Eugenio Marron and Manuel Garcia Verdecia. Both are well-known poets, both nationally and internationally. The UNEAC building was where the poets, writers and painters presented their work over the course of the festival. Most of the artists were under the age of 30 and their minds were wide open to the experiences and ideas of their fellow participants. It should be understood that many of the artists were from countries in the Americas where the government does not take kindly to artists speaking "negatively" about the government or its leaders. I spent most of my time with the Cuban poets and one in particular, the aforementioned Manuel Garcia Verdecia, professor of Cuban literature and prolific poet/writer and translator. He has translated the work of writers such as Alice Walker and Sylvia Plath into Spanish. We hung out together partly because he read my poems in Spanish at my readings and has translated some of my work for Spanish magazines but also because, as he said and I felt, "we seemed to have known each other from before". Manuel's love of Cuba and its culture and history is beyond doubt. 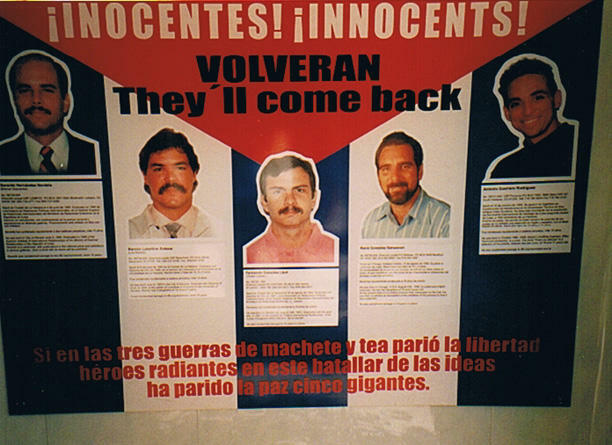 We did not talk directly of the current political state of Cuba. Rather, we talked of literature in general and in particular he wanted to know about the writers of New Zealand and Australia and what they were writing. He also was aware of some of the history of New Zealand and Australia and wanted to know how it was politically and socially for the indigenous peoples. He enquired as to how the cultures interacted. Unlike many Cuban writers, Manuel has travelled outside of Cuba to western countries. Cuban writers generally do not have ready access to information about new trends in literature. He pointed out that while Cuban people have a vitality and flow in their daily lives, the poets read their poems in a very formal manner. As he said, Cuban poets have had little exposure to things such as "performance poetry". 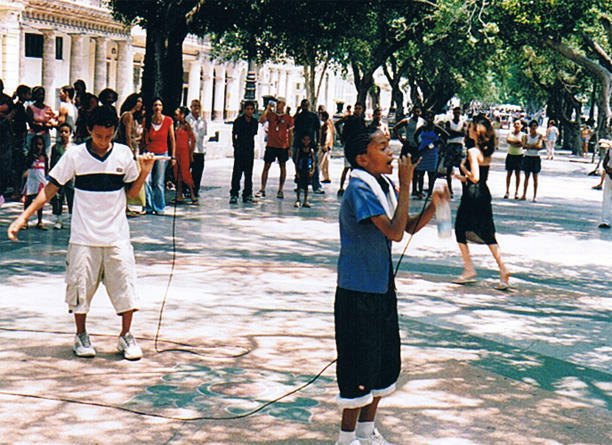 As a poet and teacher, Manuel realises that much of the world is not aware that the arts are a strong part of daily life in Cuba and that the government plays a major role in this regard. 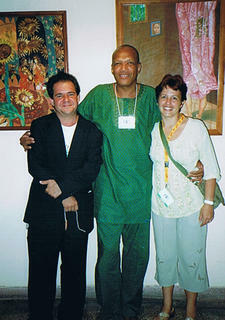 As a vice-president of UNEAC, his dream is to create an opening for Cuban artists to have a wider audience. To bring that to fruition, he is presently translating the work of ten Cuban poets into English and hopes to have their work published in New Zealand, Australia and elsewhere. After the festival in Holguin, my friend Manuel Garcia Verdecia gave me a contact name for the UNEAC branch in Havana. I took an overnight bus and headed for the capital city of Cuba. My contact person in Havana was Mr. Alex Pausidis, poet and vice-president of UNEAC’s Havana branch. When we met we had a long talk about poetry and New Zealand and Australian writers. He gave me copies of his poetry and that of the great Chilean poet, Pablo Neruda and another Cuban poet, Tito Junco. 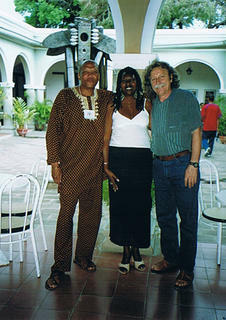 Alex also arranged for me to attend various poetry readings around Havana. Between the poetry readings I visited some of Havana’s sights. First was the Museo de la Revolucion. The museum displays the history and artefacts of The Cuban Revolution and outside one can see the boat in which Fidel Castro sailed from Mexico back to Cuba in 1956. From there I went to the Museo Nacional de Bellas Artes, which houses Cuban art from the 16th century through to contemporary work. A short distance away was the Capitolio Nacional. This lovely architectural feat is a copy of Washington’s Capitol building but is richer in detail. The building was commissioned by the US-backed dictator Gerardo Machado in 1929 and cost US$17million. I also visited the house of one of Cuba’s national heroes, poet and liberator Jose Marti. And yes, I did end my sightseeing with a pilgrimage to La Bodeguita del Medio for a mojito. La Bodeguita del Medio is one of the bars Hemingway made famous and a mojito is a strong rum-based drink. During my three weeks in Cuba I met poets, writers, painters and musicians as well as people on the street going about their daily lives. There is much in Cuba that one can see and hear, and there is much that one cannot. I am a person who believes (and history has shown it time and again) that the human spirit is a wondrous seed – and the hand of oppression may slow its growth, but not its flowering. 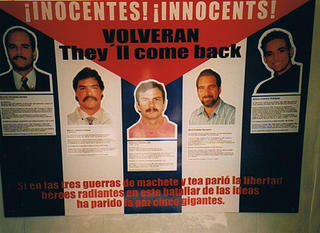 Above: Poster about the 5 Cubans jailed in the US on charges of espionage.